Endoscopic transpapillary brush cytology and forceps biopsy are widely used for the pathological diagnosis of suspected malignant biliary strictures (MBS). However, the sensitivity of these methods remains insufficient, and it can be difficult to confirm the diagnosis. We aimed to evaluate the diagnostic ability of endoscopic ultrasound-guided fine-needle aspiration (EUS-FNA) and the impact of this technique on clinical management in patients with suspected MBS where endoscopic brush cytology and biopsy yielded negative results. This study included 225 consecutive patients with suspected MBS, who underwent endoscopic brush cytology and biopsy at our institutions. Negative results were obtained for these pathological tests in 75 patients, and EUS-FNA was performed in 22 of these patients. We retrospectively compared the EUS-FNA results with the final diagnosis and examined the influence of the EUS-FNA diagnosis on treatment selection. FNA specimens were successfully obtained in all patients, and the pathological results confirmed malignancy in 16 cases and predicted that the other 6 cases were benign. 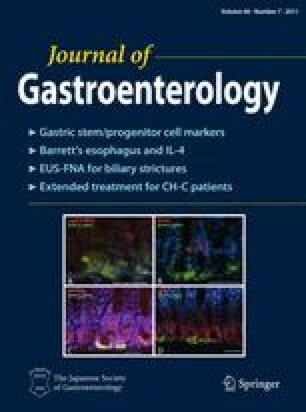 Of the 6 cases that were suspected to be benign, 3 patients were diagnosed with xanthogranulomatous cholecystitis by surgical pathology, and the remaining 3 patients were diagnosed with benign diseases at a follow-up after 12–18 months. Thus, the EUS-FNA-based diagnosis was proven correct for all the patients. In addition, the treatment strategy was altered as a result of the EUS-FNA results in the above 6 patients (27%). EUS-FNA is a sensitive and safe diagnostic modality for patients with suspected MBS and can be an additional option in cases where endoscopic brush cytology and biopsy have produced negative results.